My daughter's Bundle of Joy arrived Thursday. Her birthday was Friday, so it was like an early birthday present for her! She's always excited to see packages in the mail, and even more excited when she finds out they are for her! I was just as excited as she was to see what we would get this month. Here is a first peek. And this is what we saw when we opened the tissue paper. It looked like another fun box! Here is everything we received. Looked perfect for hanging out this summer! The outfit was an adorable short set by Nannette. I love this! 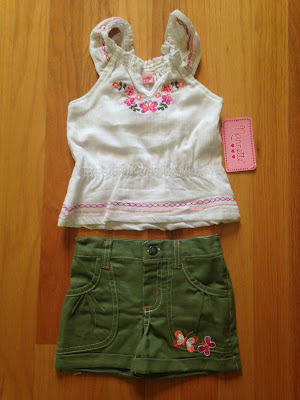 It looks cute and comfy, which is key for my daughter's wardrobe. 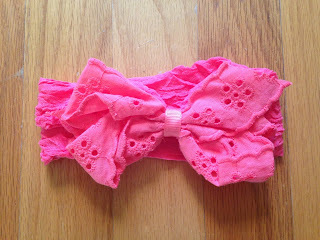 The next item was a Coral Lace Headband that goes perfectly with the outfit. It's very soft, so my daughter loves wearing it. I think she's put it on every day since we opened this box! 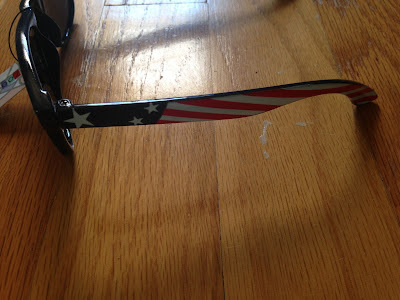 We also received American Flag Sunglasses. She loves these and put them on right away. 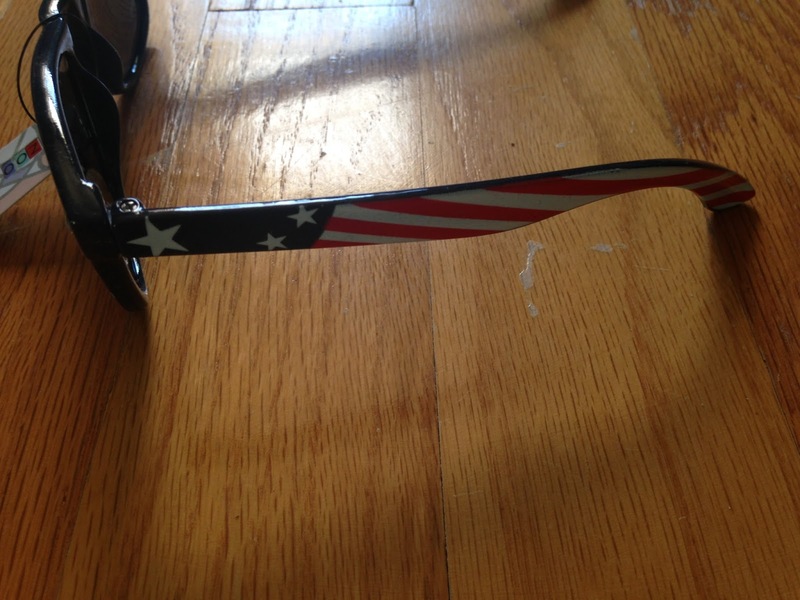 She also wouldn't leave the house in the morning without these, haha. Her new favorite sunnies! 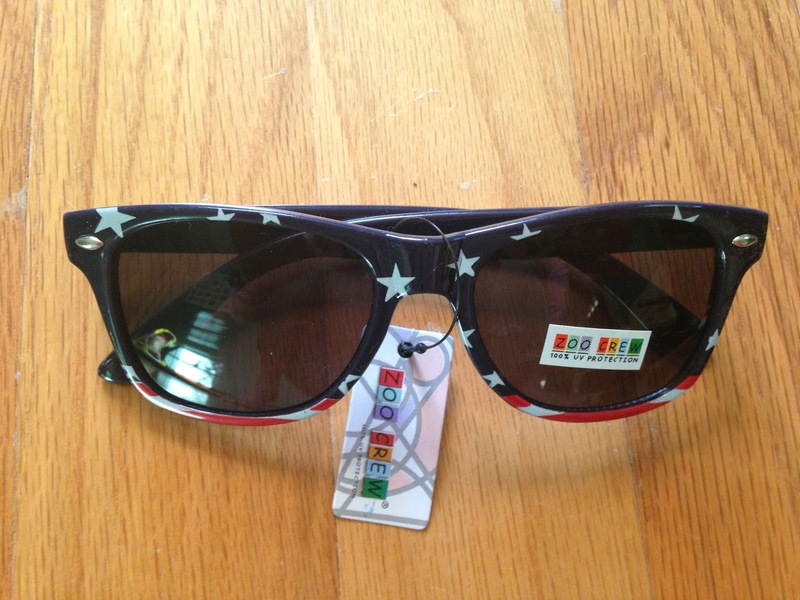 These will be so cute for the 4th of July! 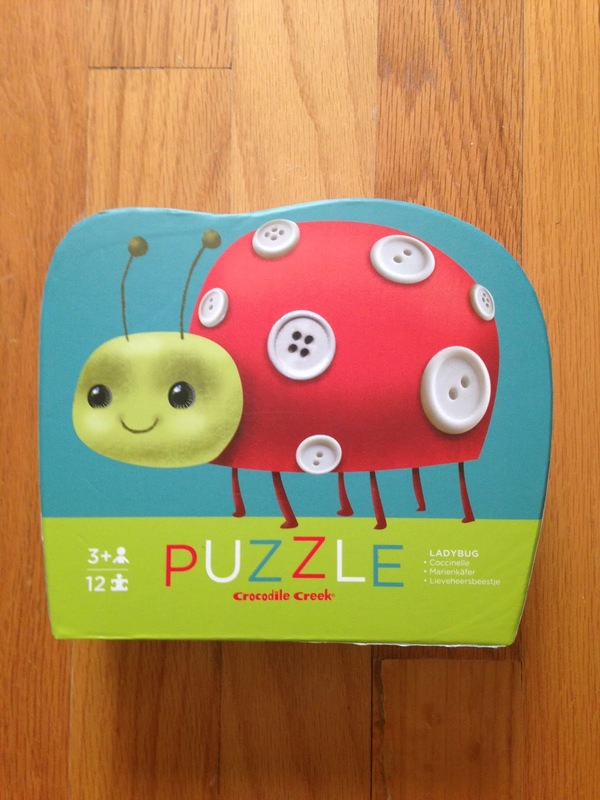 Her favorite item in the box was the Crocodile Creek Ladybug Puzzle. 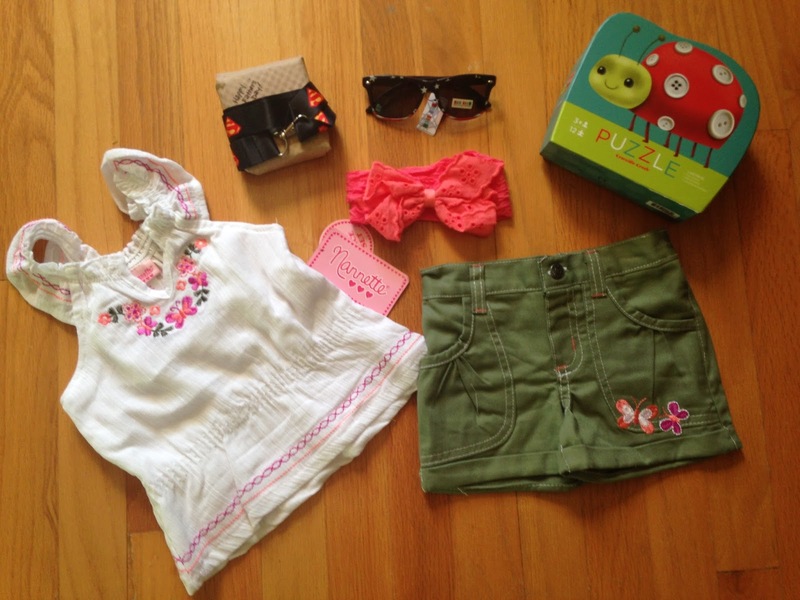 It's perfect for her age and she loves putting it together. Another hit! 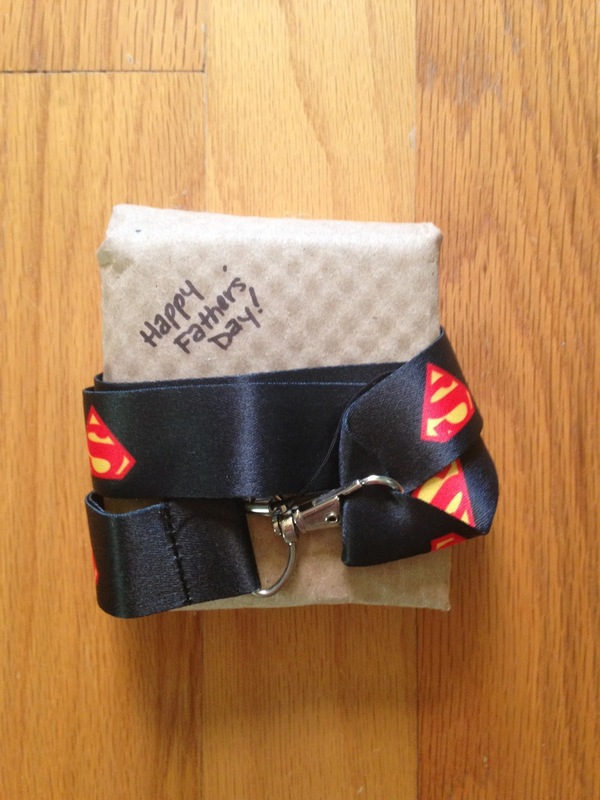 And since June was Father's day, we also received a gift for daddy! 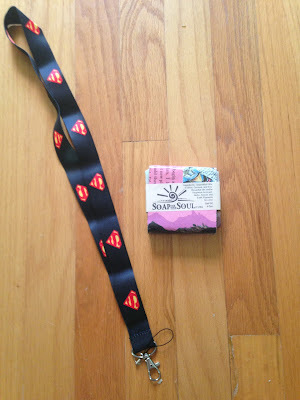 It was soap from Soap For Your Soul and a Superman Lanyard! How cute! Daddy loved his little gift!!! The soap was Forest scented with Earthy Oakmoss and Sweet Amber. It's a manly scent perfect for a hard working dad! We loved this box and will definitely use everything. 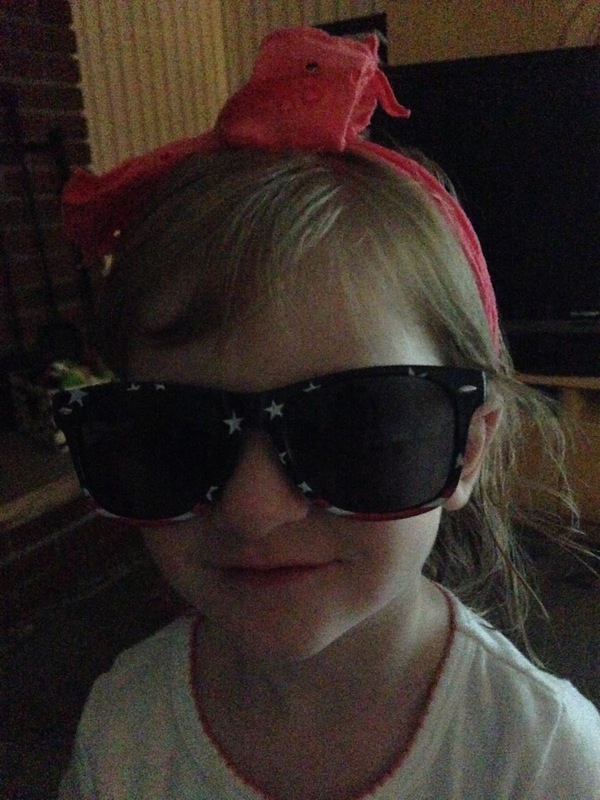 Here is a picture of my daughter enjoying the headband and sunglasses! I can't wait to see what July brings. 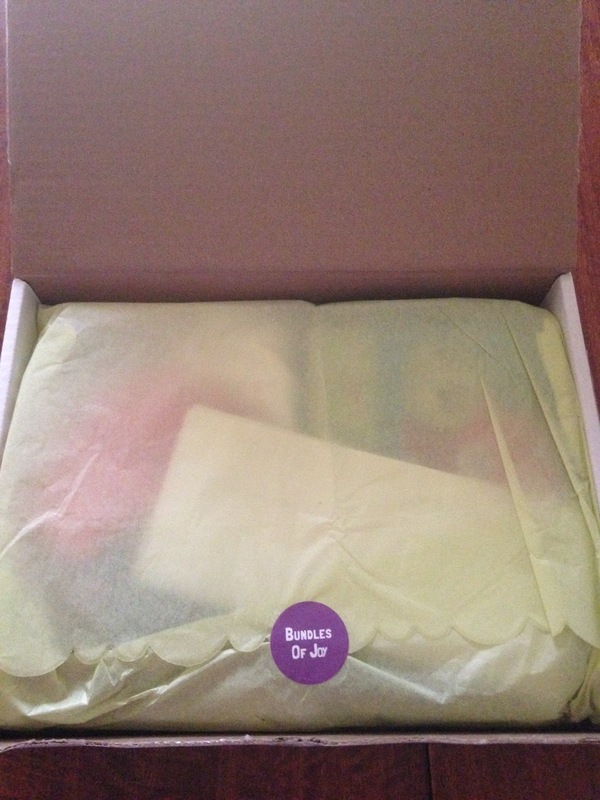 And then on Friday, my daughter's birthday, another package arrived in a pink package from Bundles of Joy. It was a birthday gift! And it arrived exactly on her birthday. We love surprises, so this was a welcome bonus, that I didn't expect! 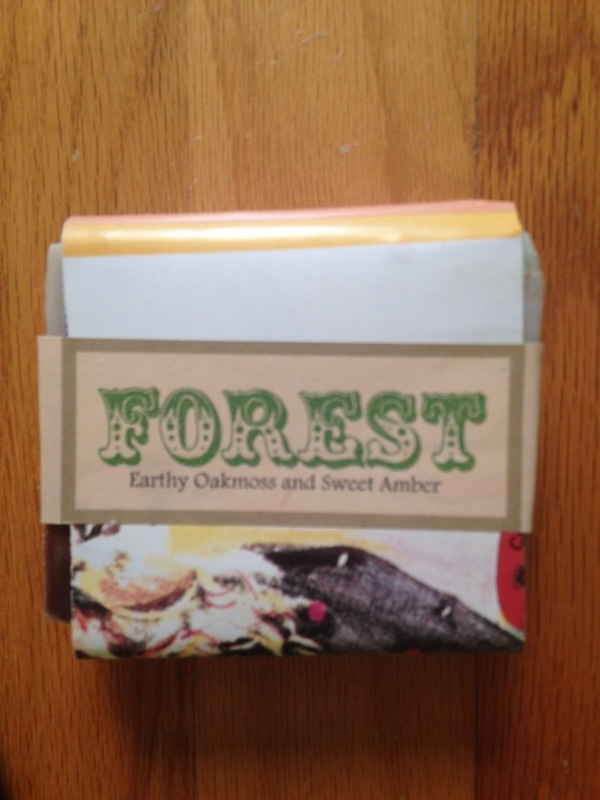 This subscription does a great job with personalized touches and makes the recipient feel special. 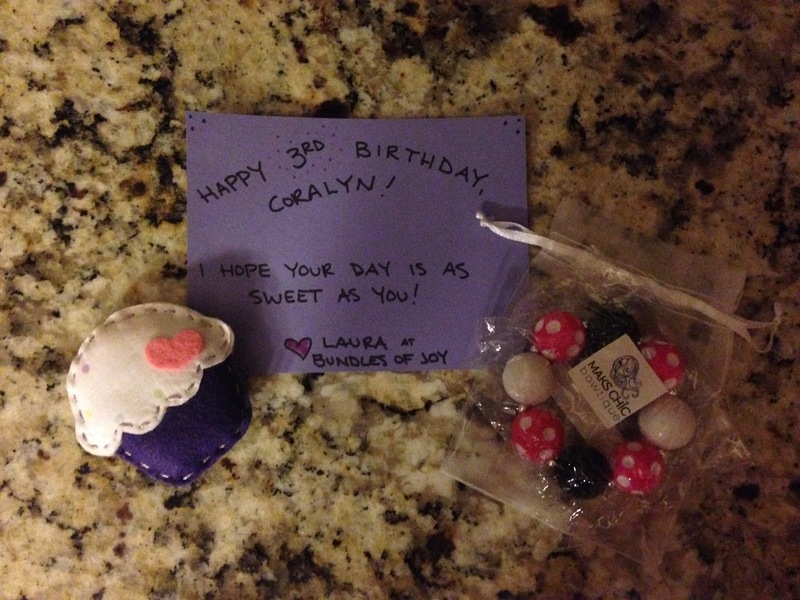 She received a cute handwritten card and some beautiful "jewels" (as she calls them) and a sweet fabric cupcake! Too cute! We loved this birthday surprise!!! Thanks Bundles of Joy, for not only making my daughter feel special, but also mommy and daddy on their special days in May and June! This box really caters to everyone!! !